Premier Programs Generate the Highest R.O.I. in the Automotive Sales Industry! 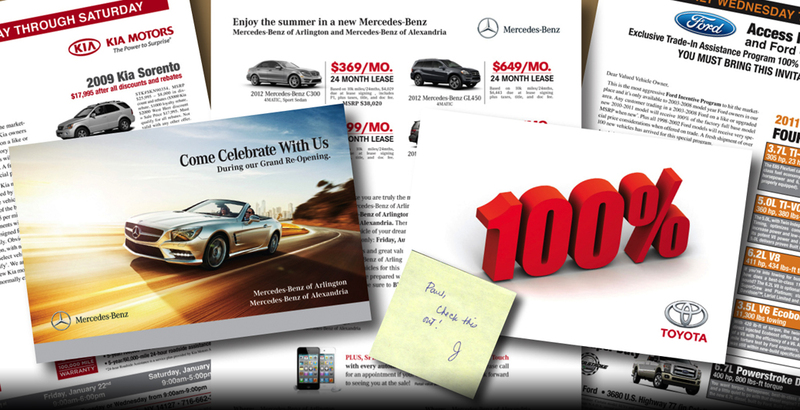 Automotive Marketing Campaigns That Work! In today’s automotive market, dealerships are looking for unique and effective ways to attract and DRIVE qualified customers into their showrooms. But, unfortunately, many marketing strategies of the past are no longer producing positive results and response rates have dropped to a fraction of what they once were. 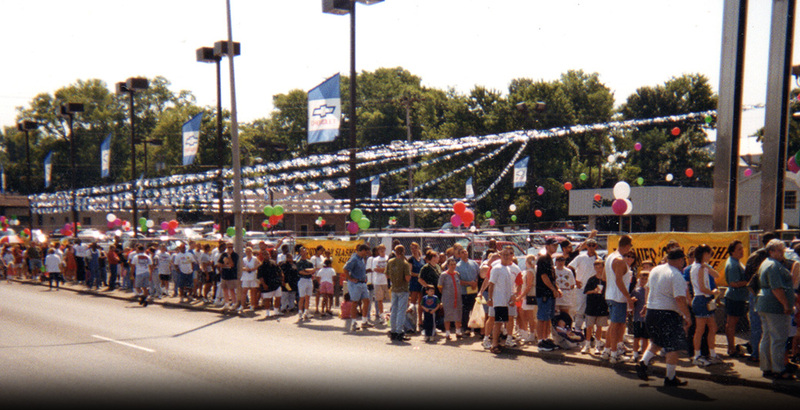 The Premier Group’s focus has always been to provide dealerships/CLIENTS with the maximum return on their advertising dollars and for three decades our campaigns have consistently generated a 6 to 10 times return on a dealership’s investment, Producing the Highest R.O.I in the industry without using any Gifts, Gimmicks or outside sales staff! Most dealers spend $300 to $600 per qualified buyer where TPG generates the same qualified buyer for $100 or less! The Premier Group has been on the cutting edge of automotive marketing and has helped dealers of all brands and sizes all over the country set sales records for gross profits and for cars sold. The Premier Group events throughout the country are associated with large volumes of sales and maximum gross profits! These are definitely not your “run of the mill” marketing campaigns! These events drive large volumes of real in the market buying customers into dealerships. The Premier Group has been privileged to help several thousand dealerships since 1988 and has orchestrated over 10,000 sales campaigns. Contact us today to learn about our latest Campaigns! You’ll be glad you did! Watch the videos below to learn how The Premier Group automotive sales campaigns can make a difference for your dealership! 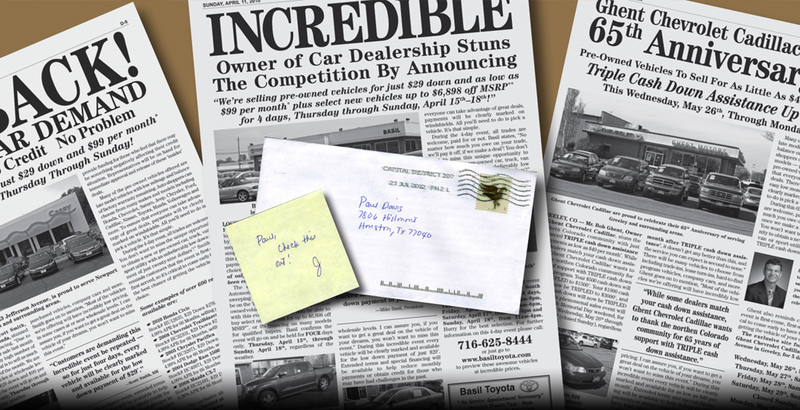 Branded as the “The National Automotive ‘Insider’ Event”®, our J-Letters use third-party credibility to ensure their success. The Premier $99 Car Sale is a one-day staffed event that creates a highly charged atmosphere for a buying frenzy. Email program, Parallel Payment or Vehicle Buy-Back events, personalize your message with variable data capability. The greatest hurdle faced in the world of direct-mail is getting your message read before it’s discarded. 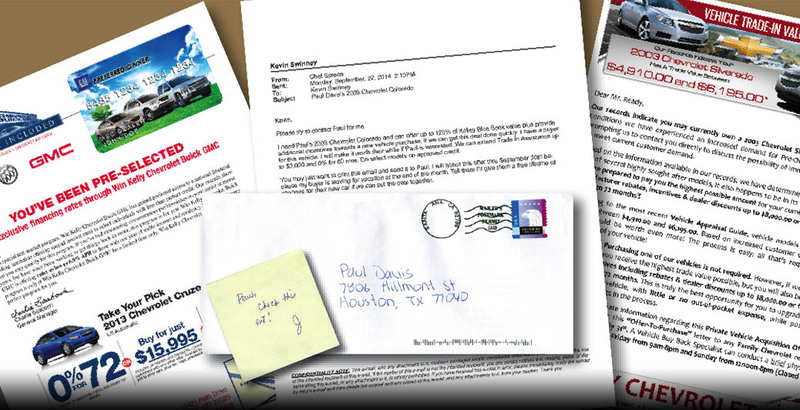 By utilizing hand-addressed envelopes with our programs, TPG enjoys the highest open rates in the industry, while most of our competition’s products go straight into the trash can. Use the form below to request a call to discuss how our programs can help your dealership sell more cars!